The wire of the smart seals are made from strands of stainless steel wire., and the seals body is made by injection molding of high-strength engineering plastics, which is durable and will not be damaged naturally; the smart chip is integrated with the seals body during processing, which will be destroyed when it is artificially opened. With hand-held reader and software background, it can achieve the corresponding industry intelligent management according to the unique number of electronic seals, such as the inspection and the reading of table numbers for fuel dispensers, electric meters, water meters, and gas meters. Hand-held records, one-click upload, to avoid repeated manual record. 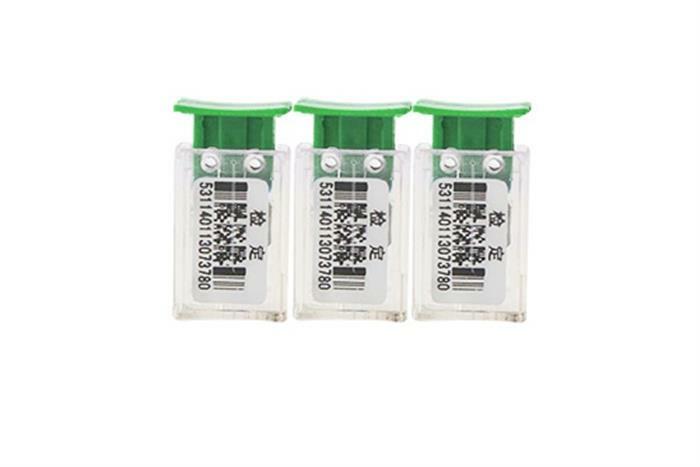 1.Electronic seals use RFID electronic seal anti-tampering system, which is extremely safe. However, once a failure occurs in the course of use, it is difficult for ordinary people to repair. It must be tracked by professionals. 2.Large investment. The electronic seal equipment needs to be replaced once every two years. The price of each electronic lock is about 1,500 yuan. Not only is the initial investment large, but it also requires a large cost for the post-maintenance.